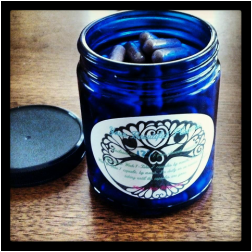 Placenta Encapsulation, Is It Right For You? The placenta contains your own natural hormones and is perfectly made for you, by you. Experts agree that the placenta retains hormones. Reintroducing them to your system is believed to ease postpartum and menopausal hormonal fluctuations. The placenta is also a great blood builder and consumption can reduce the recovery period to a couple of days. Placenta consumption has been the final stage of birth for nearly all mammals and still takes place all over the world today. Click here for more information at our page, dedicated strictly to Encapsulation. "Researchers surveyed 189 women engaging in placentophagy...[o]verall, 96 percent of the women said they had a “positive” or “very positive” experience consuming their placenta, and 98 percent said they would do it again."